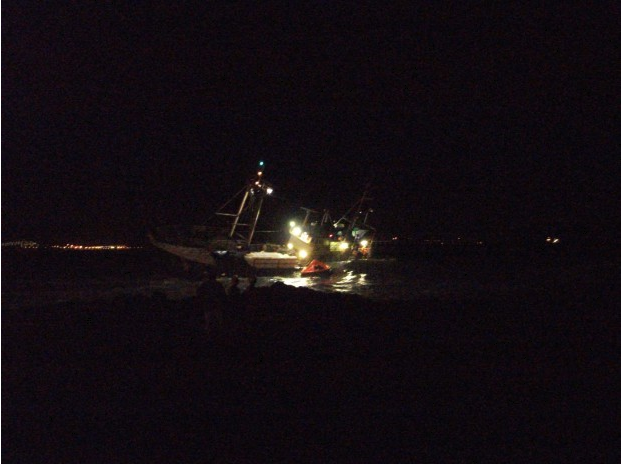 The 40 metere fishing trawler Emmanuel was blown ashore in rough seas and high winds near De Bakke, Mossel Bay, South Africa. 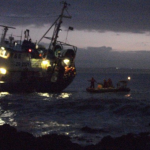 The Emmanuel contacted the National Sea Rescue Institue (NSRI) that the vessel had run aground 50 meters off shore and were preparing to abandon ship in a life raft. 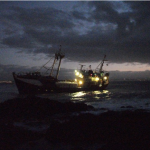 The NSRI responded to the scene with rescue craft and had local emergency services on stand-by. 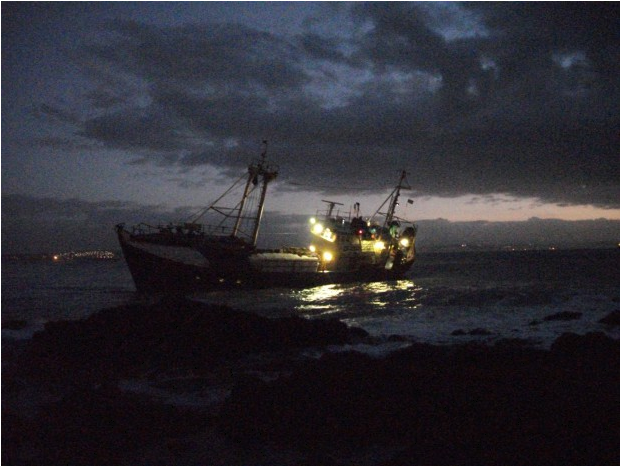 The NSRI attached a line to the Emmanuel on the shore-side in attempt to stabilize it. However, as the tide dropped, the trawler began to list over. 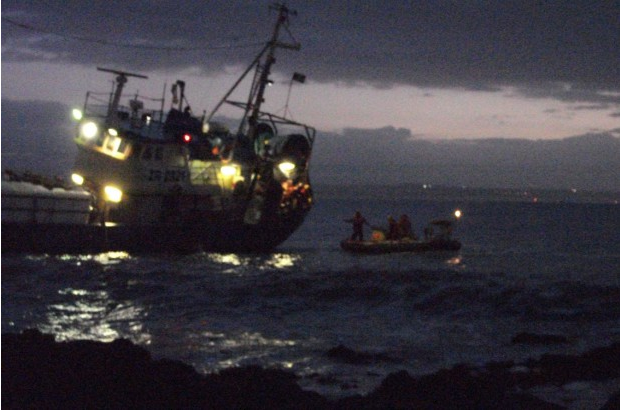 The NSRI decided to evacuated the 12 crewmen. 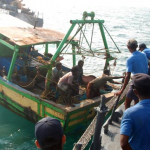 Taking 1 or 2 men at a time, the men were relayed from a rescue craft which rode the swells to land them ashore. The crewmen were then checked by awaiting EMS paramedics. No one was injured in the incident. One NSRI craft sustained some damage in the operation. A tugboat is on scene and will attempt to refloat the trawler on the next high tide. Authorities are conducting an investigation into the incident. 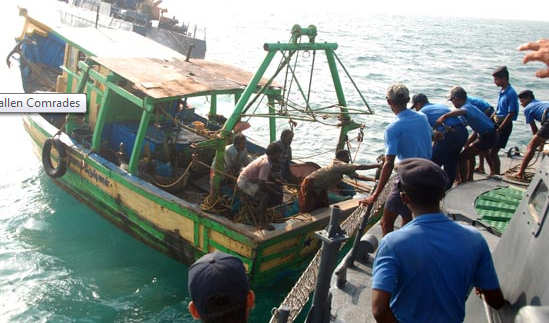 The Indian fishing Trawler TN11MFB211 became disabled off Neduntheevu, Sri Lanka (Delft Island). The trawler’s engine had stalled in rough seas and was adrift. 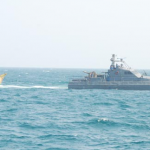 The Sri Lanka Navy spotted the trawler and directed a patrol vessel to the scene. 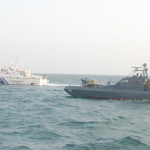 The patrol vessel rendered assistance to the 4 crew of the trawler and took the it under tow. 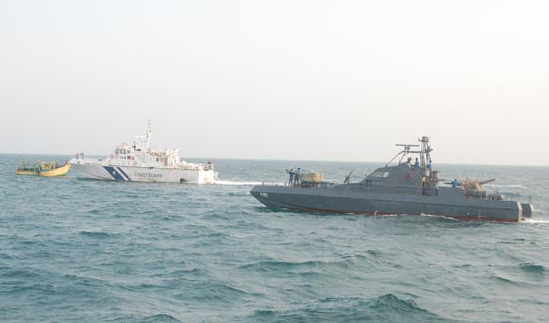 The vessel was delivered to the Indian Coast Guard who towed the vessel back to its home port. No reports of injury or pollution being released. The 68-foot tug Aries sank in the Bering Sea east of St. Paul Island. 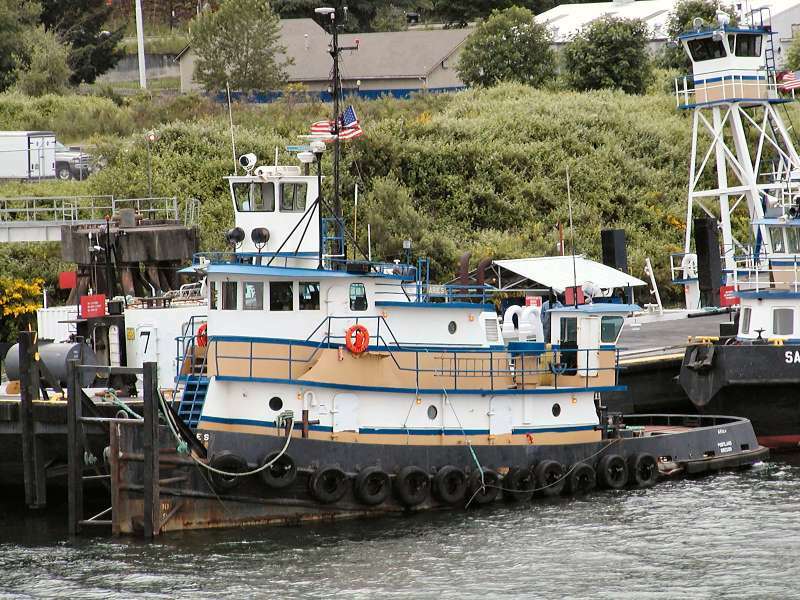 The tug was towing a barge when the crew discovered the vessel was taking on water. The weather was rough with 11 foot waves and 30 mile per hour winds. 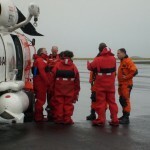 The tug’s crew contacted the Coast Guard that they were in need of assistance. 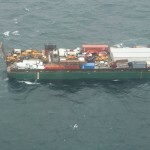 The Coast Guard dispatched a HC-130 Hercules airplane which reached the scene to see only the barge afloat. 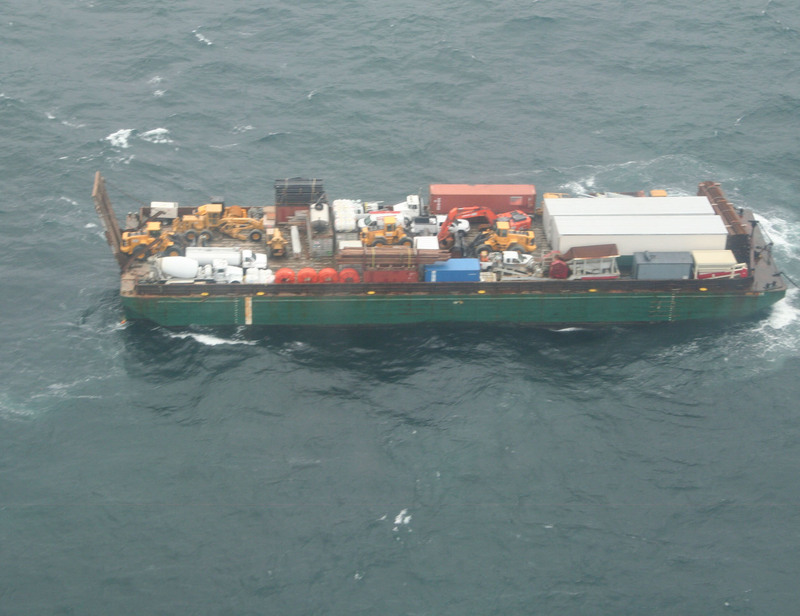 The crew of the Aries had transferred over to the barge before the tug sank. 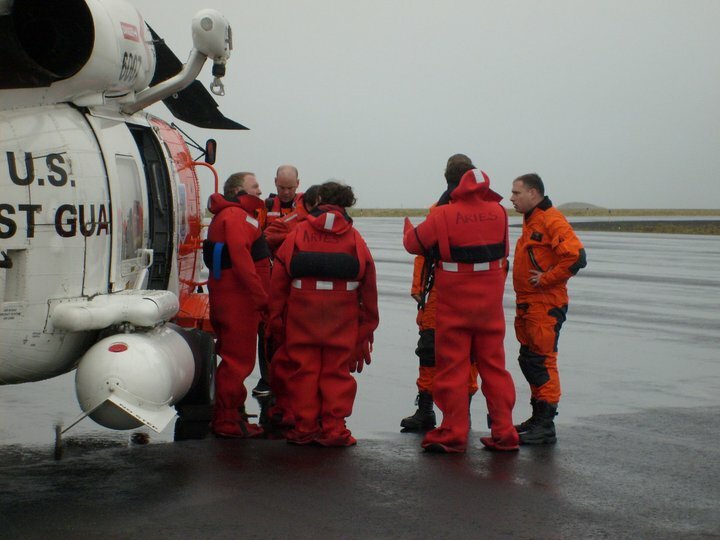 A Coast Guard helicopter arrived a few hours later and hoisted the 4 crewmen off the barge. They were safely taken to St. Paul Island. The Aries sank with 29,000 gallons of diesel fuel on board. Reports state there is a visable oil slick. 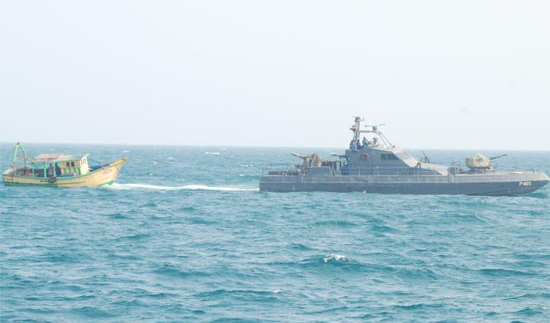 Authorities have deployed vessels to handle environmental issues and to see if the tug could be salvaged. The reason for the Aries sinking has not yet been determined. The Aries is a Gulf Coast style tug built in 1980 in Gibson, Louisiana. 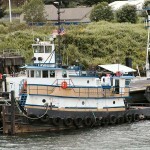 The vessel was recently refurbished in Seattle before being leased to C & K Marine from Olympic Tug & Barge, Inc. of Seattle.